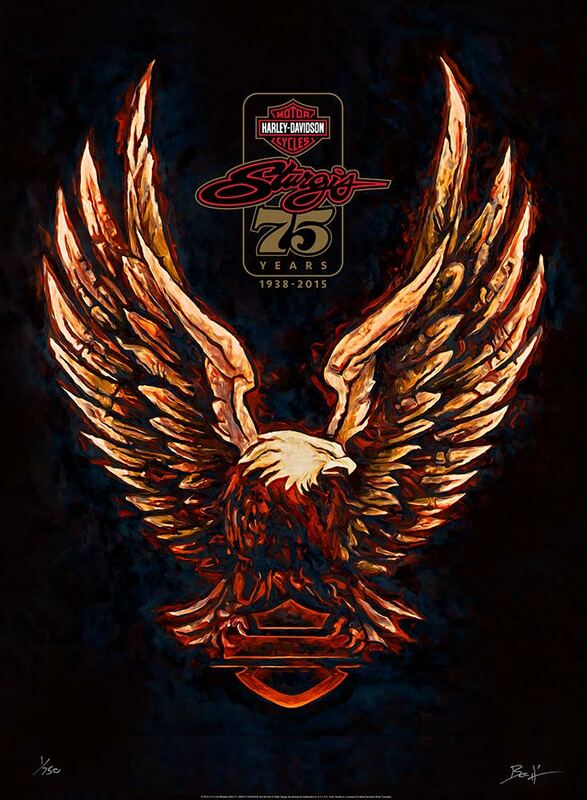 Working with Harley-Davidson conceptualize and create their limited edition, Sturgis 75th anniversary fine art print, Sturgis Eagle 75 was born. 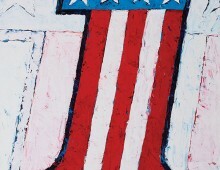 The painting contains a fire colored and textured version of the iconic eagle logo. 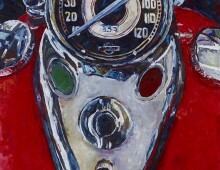 This is the original painting that was used to create the 750 limited edition prints offered to the public to commemorate the Sturgis 75th Anniversary Rally by Harley-Davidson. Be the owner of this piece of the story and piece of motorcycle history.